Excellent bottles for consistent home brewing flavours! Excellent bottles for my and my husbands brewing! Excellent product for homebrewing! My husband loves these as his brew is very consistent! Heavy duty 750ml amber bottle. Designed to suit pry-off lids (not included). Suitable lids are the crown lids. These bottles can be processed in hot water to help keep contents longer. 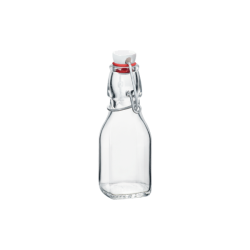 Heavy duty 500ml amber flip-top bottle: European Grolsch style with strong wire bail.Available i..
Oil / Vinegar / Squash Fido Swing Top 125ml bottleThe Bormioli Rocco Swing top bottle has a numb..
1.7 oz Mini Woozy Bottle with 18mm CT (continuous thread) Finish. Capacity is approximately 50ml. T.. 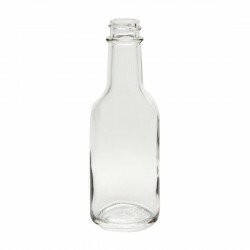 This bottle is perfect for DIY wine, beer and cider and holds 750ml. It takes a screw top cap with .. 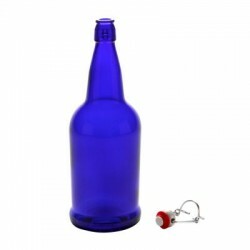 Recycle old bottles for home brew.This capper allows you to reuse standard crown beer bottles. .. Recycle old bottles for home brew. Lids fit standard crown beer bottles. Ensure you inspect the glas..